Which Automatic Heat Detection System Is right for you? Rest assured, whichever system you choose we are with you. There are more than 10 different Automatic Heat Detection systems available in Australia with more arriving all the time. At Easy Dairy we often get phone calls asking us to make recommendations. It is a big decision putting your trust and the future of your business in another company. It is something we all have to do at times to ensure our business continues to grow and remain profitable. Some time ago we started our search for the right automatic heat detection system to get behind and back up with our exceptional support. Why did we choose Nedap CowControl™? A reliable system that doesn’t need lots of complicated hardware. In most cases a single antenna is mounted on at the dairy and linked to a small processing unit mounted in a suitable location. Time to put collars on cows. Done!! Nedap CowControl™ does not require a computer or the internet to run. Computers, Windows and reliable internet are a big point of failure in any system. Trust us, we know!! No internet, No worries. 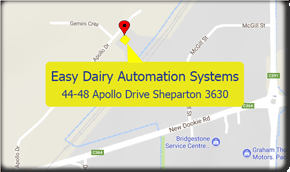 Link to Easy Dairy and all of your Automatic Heat Detection needs are covered. If you do have internet then things get really exciting. Check your heat and health data from any device anywhere. We have found the Nedap team great to work with. And of course nobody beats Easy Dairy for support. Any problems we are here for you. Nedap CowControl™ has a worldwide proven track record and is re-branded and offered by many other companies in many countries. In Australia companies such as Alta Genetics, GEA and Lely also offer this product under different names. Let your SmartTags show you more than the most expert eye can see. Day and night. Our advanced SmartTags identify each cow and keep track of her signs of heat, position, eating, rumination, standing, lying, walking and inactive behavior 24/7. This provides the most precise and complete information about the fertility, health, well-being and nutritional status of individual cows and groups. Supplemented by their exact location in the barn. Let technology serve you instead of the other way around. 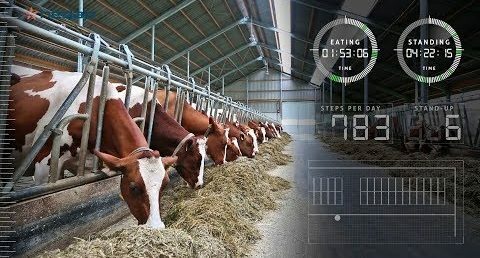 Nedap CowControl cleverly turns SmartTag data into real-time and relevant alerts, to-do lists, reports and barn maps to help manage and control your herd. These actionable insights are easy to understand and presented on PC, tablet and smartphone. Nedap CowControl also integrates with your farm automation systems and dairy management programs. As a result, you and your team automatically focus on the right cows, at the right time, with the right treatment. Make data-driven decisions to improve your bottom line. With Nedap CowControl you can also improve farm management at the tactical and strategic levels, using behavior insights of your groups and entire herd. They show you how external factors and management decisions influence the herd’s performance. A tool for you and advisors to evaluate the impact of (changed) feeding strategies, housing conditions and milking procedures. So you can make confident choices to continuously improve your bottom line. Nedap CowControl combines an unmatched range of features in a single and highly advanced, yet easy-to-use system. Highly accurate heat detection with advice for the optimal insemination moment, as well as reproduction insights. Proactive, individual health management for early detection of health issues and intensive monitoring of transition cows and post-treatment recovery with the Smarttag Neck. Get proactive, individual health management for early detection of health issues, intensive monitoring of fresh cows and post-treatment recovery support with the Smarttag Leg. 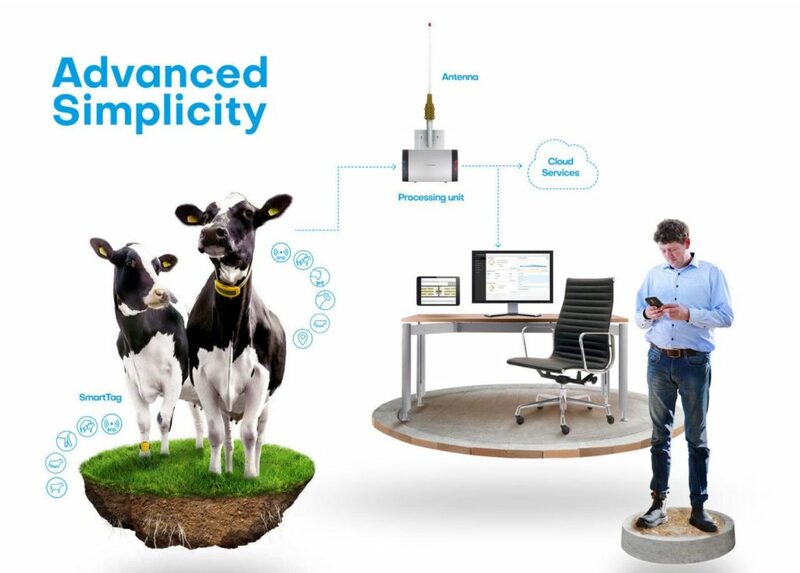 Easily connect Nedap CowControl to your farm automation systems and dairy management programs thanks to advanced integration applications. Choose the SmartTag Neck or Leg with the features fitting your dairy farm management style. All team members have access to real-time and relevant insights fitting everyone’s needs.